SouthTownStar is reporting on a 3-car wedge that turned over while turning at an intersection. 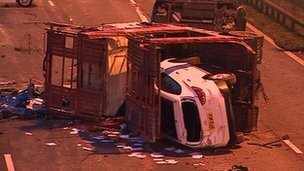 I am not questioning their reporting but I am questioning the quote “when the SUVs shifted”. Pretty hard to have that happen unless you have them sitting on ice or something weird which is not reflected in the pictures. It is apparent in the pictures that the trailer is equipped with a goose-neck style hitch as opposed to a fifth-wheel. It sounds as though he delivered one of the three units which probably left most of the weight of the other two well forward on the trailer. Since the goose-neck provides NO side two side stability, it would be relatively easy to simple turn the entire trailer on it’s side by turning too fast and/or clipping a curb on the inside. 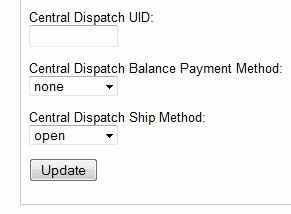 You will need to request your Uid from Central and go to your Admin page and insert it. Once you do that you will see a new link appear when you are brokering a load. 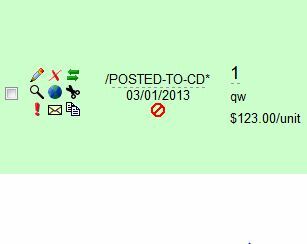 Clicking that link will send an email to CentralDispatch that will post the load on Central and also assign the load to POSTED-TO-CD. 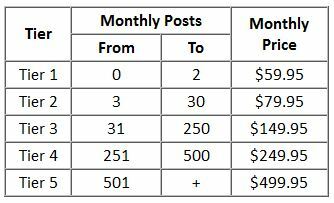 When you assign the load to the carrier that accepts it, another email will be generated that will un-post it. One of the top cars almost gets pulled off by live electrical wires! The transporter(lory) over turned and not only injured the driver but blocked the highway(carriageway). Ok so after cinching the noose up really tight on the brokers, Central dispatch has loosened it up a bit. Does that feel better guys? 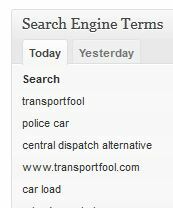 We got 712 hits yesterday with the third highest search term being “Central Dispatch Alternatives” Now IF there was a viable alternative, they would be losing business right now. Since they seem to have that market cornered, I suspect their revenue stream will increase dramatically. Now we know where the 7 million dollars is going to come from.